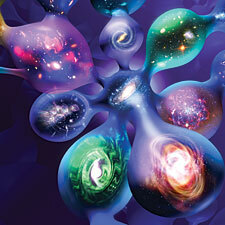 The Multiverse: Is There Evidence For It? Some of you may recall a popular article we posted several months ago, dealing with voids and super-void. These celestial regions (which are devoid of stars, galaxies, planets, clusters, and other forms of matter) were initially discovered while physicists were busy mapping the cosmic microwave background radiation (CMB). This radiation is a relic from the big bang; it originated during the opening chapter of our universe, when the cosmos was a mere 380, 000 years in age. This background radiation should be evenly dispersed throughout the universe. Instead, physicists noted a huge cold spot stretching across an expanse of space almost one billion light-years in diameter. This cold spot is located in the constellation of Eridanus, and the discovery baffled astronomers. Since then, many theories have surfaced in an attempt to explain the discrepancy; some of these theories argue that this area might be occupied by a ‘universe-in-mass’ black hole or perhaps, it is a leftover souvenir from a change in the texture of spacetime. 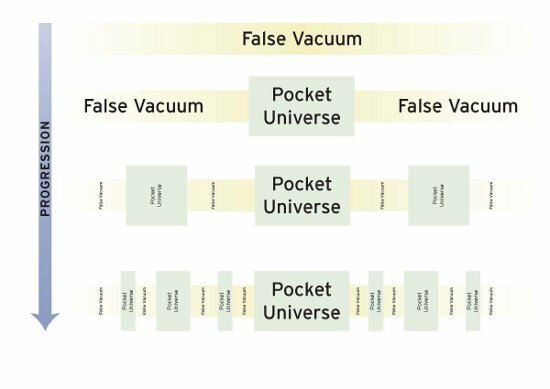 There is also the super-void hypothesis, and some have even suggested that the void is evidence of a parallel (or a sister) universe -meaning that both our universe and our sister-verse belong to a larger multiverse. She was also one of the first scientists that believed dark flow (an eery observation that revealed that distant clusters are being “pulled at” from some great force outside of our local universe) was not tied to the great attractor, but something different. Some signs indicate that the force may be another universe tugging at our own. (& 5) The team suggested that voids might have formed as a result of a sister universe pushing against us, repelling the gravity and matter of our own universe as a result. If one was found, a similar void should follow in the opposite hemisphere.. two things that rang true. The first of which, was the Eridanus supervoid, which we covered up top. The second one in the opposite hemisphere was found very recently. 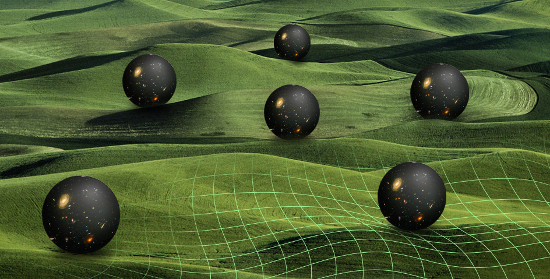 Could this mean we have finally seen some empirical evidence that we live in a multiverse? Maybe. Maybe not. Lets say our universe is a part of a larger number of multiple universes, our universe most likely formed through a bubble in another universe, created through quantum fluctuations within the vacuum energy (maybe an infinite number of them formed this way too), spawning a universe equipped with its own laws of physics, energy levels, matter concentrations, arrow of time, and entropy level. Some of these said bubbles could collapse in on themselves before undergoing something similar to inflation, with only a certain number of them progressing beyond that point, depending on the characteristics the baby bubble developed early on. After the bubble stabilizes, it would effectively be cut off from the universe it was born into, losing all of the information from it. However; it could hypothetically interact gravitationally with other universe, which is exactly what Houghton thinks happened in the cold spot in the CMBR — an area of space seemingly containing an imprint of another universe apart from our own. It’s even possible that in theory, another bubble is developing in our universe. Whilst living in a multiverse, it’s conceivable that such a universe can and does exist. In fact, it’s quantum mechanics in action. 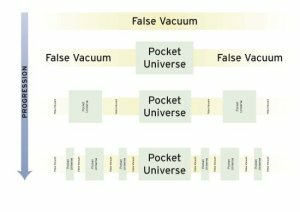 When internal inflation, string theory, Copenhagen interpretation, and the Heisenberg uncertainty principle are thrown into the mix, we get a universe (our universe) created at the whim of a wave function, collapsing with the properties our universe has. Again – with just about everything – skepticism is key. Mersini-Houghton, the main proponent of the landscape multiverse idea, is also a fan of string theory. Many of you may know of it as a discombobulated mess that belongs with the crackpot models of the universe – instead of acting as if it’s even plausible to explain the properties of the universe. We’re still in the beginning stages of uncovering many universal mysteries – so more data is needed. The Search for Alien Life: Where can We Find it and How?